WASHINGTON (AP) - The Air Force is quietly shrinking its deployed force of land-based nuclear missiles as part of a holdover Obama administration plan to comply with an arms control treaty with Russia. The reductions are nearing completion despite President Donald Trump's argument that the treaty gives Moscow an unfair advantage in nuclear firepower. The reduction to 400 missiles from 450 is the first for the intercontinental ballistic missile, or ICBM, force in a decade - when the arsenal came down from 500 such weapons. 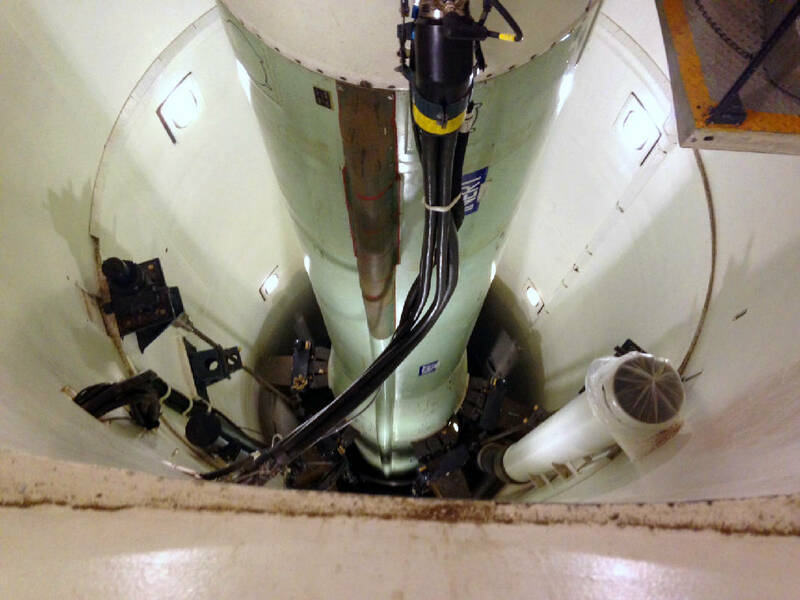 The Air Force says the latest cut in Minuteman 3 missiles will be completed in April, leaving the deployed ICBM arsenal at its smallest size since the early 1960s. The 50 underground silos from which the Minuteman missiles are being removed will be kept "warm," meaning capable of returning to active use. The missiles are being put in storage. Those decisions came after members of Congress from the ICBM base states - North Dakota, Wyoming and Montana - pushed for no elimination of silos.